Never worry about serving burnt toast with a commercial pop-up toaster. MyBoelter's selection of pop-up toasters will produce perfectly toasted, golden brown bread, buns and bagels. 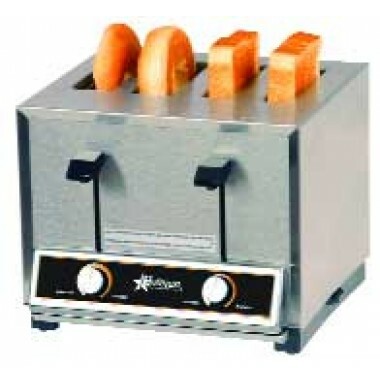 Pop-up toasters are offered with 2 or 4 toasting slots and are capable of producing a maximum of 300 pieces of toast per hour, making them ideal for medium to low-volume operations. We are confident the superior construction and quality performance of our pop-up toasters will more than fulfill your toasting needs.